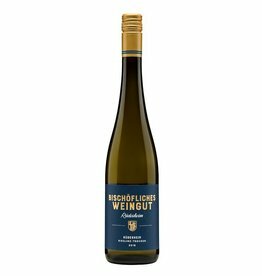 The remarkable quality of the wines of the Bischöfliches Weingut Rüdesheim is closely linked to Peter Perabo , who has been the manager of the estate since 2007. His reputation as a Spätburgunder magician had previously been worked out in the Krone Assmannshausen vineyard. According to the Rheingau tradition, the Bischöfliches Weingut planted two grape varieties: the whites are Riesling, the reds (and the rosé) are Spätburgunder, on the labels its mostly called Pinot Noir. The wines are no copies of Burgundian Pinot Noirs, but quite independent and high-class Rheingau wines, which can be compared to any other international Pinot and in Germany they are in the absolute top league. 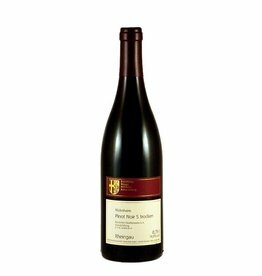 The wines are made traditionally, with a lot of time for their developement before release, the Spätburgunder are 20 months in the barrel and another 15 months in the bottle, before they come on sale. This creates very complex and storeable Spätburgunder wines, which are sold at really fair prices . In addition to the first-class reds, you almost forget the Rieslings from the Rüdesheim "Berg" -vinayards. An absolute favorite is the "1960" from the mountain of Rottland, 1960 is the planting year of the vines, which give the wine a beautiful depth and relaxed unspiritiveness.